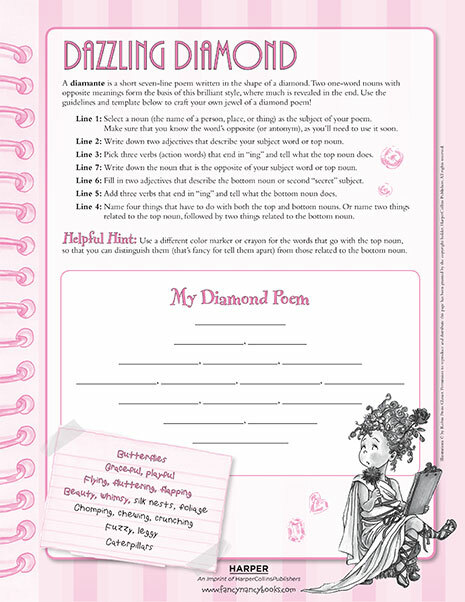 Learn to write a diamante, a short seven-line poem written in the shape of a diamond! 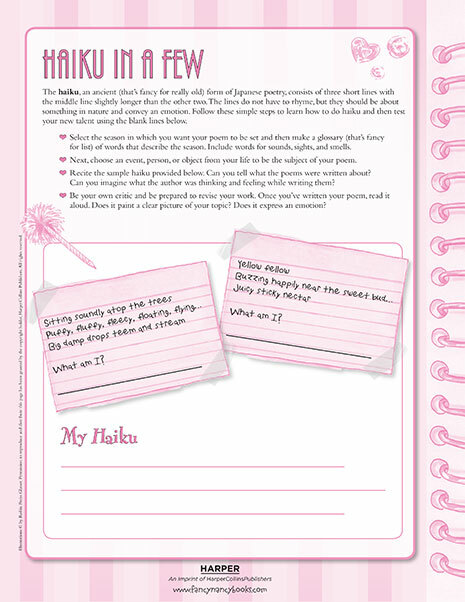 Learn the ancient form of Japanese poetry by writing a fancy haiku! 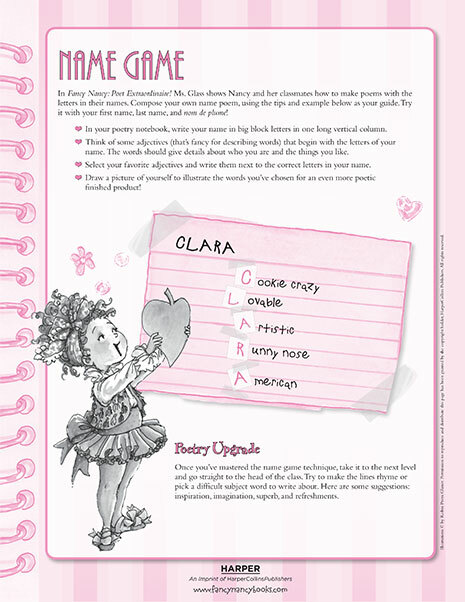 Master the techniques of an expert poet by learning about alliteration and onomatopoeia! 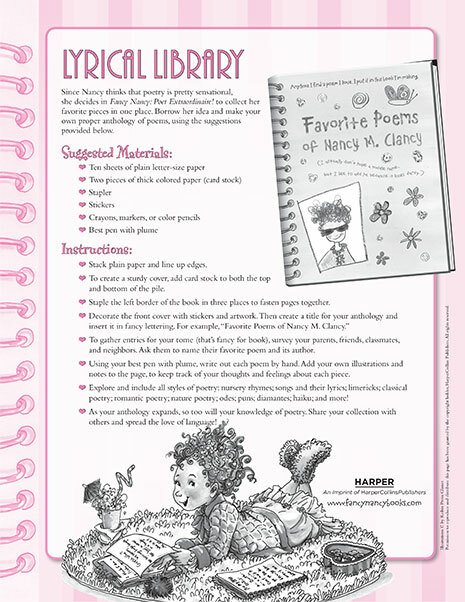 Collect all your favorite fancy poems into an anthology! Create a fancy poem using the letters in your name! 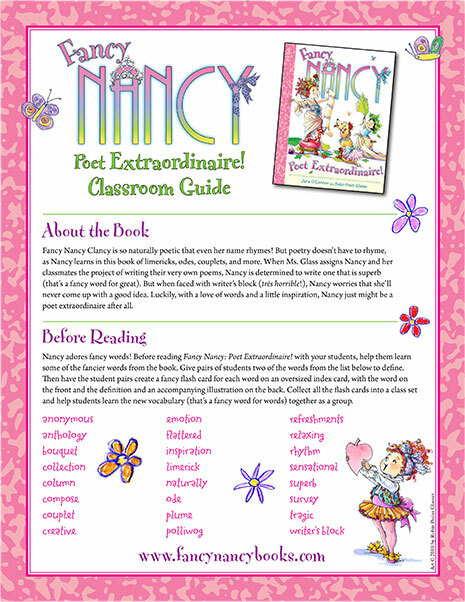 Share the love of poetry with your students with our printable Fancy Nancy classroom guide!